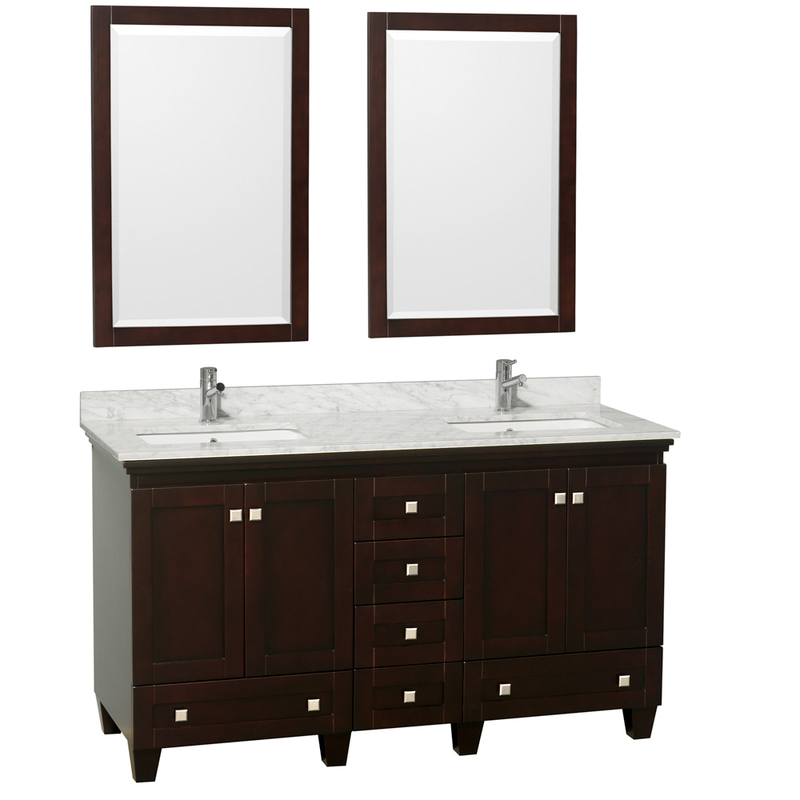 Made to impress, the 60" Acclaim Double Vanity is remarkable in both craftsmanship and design. 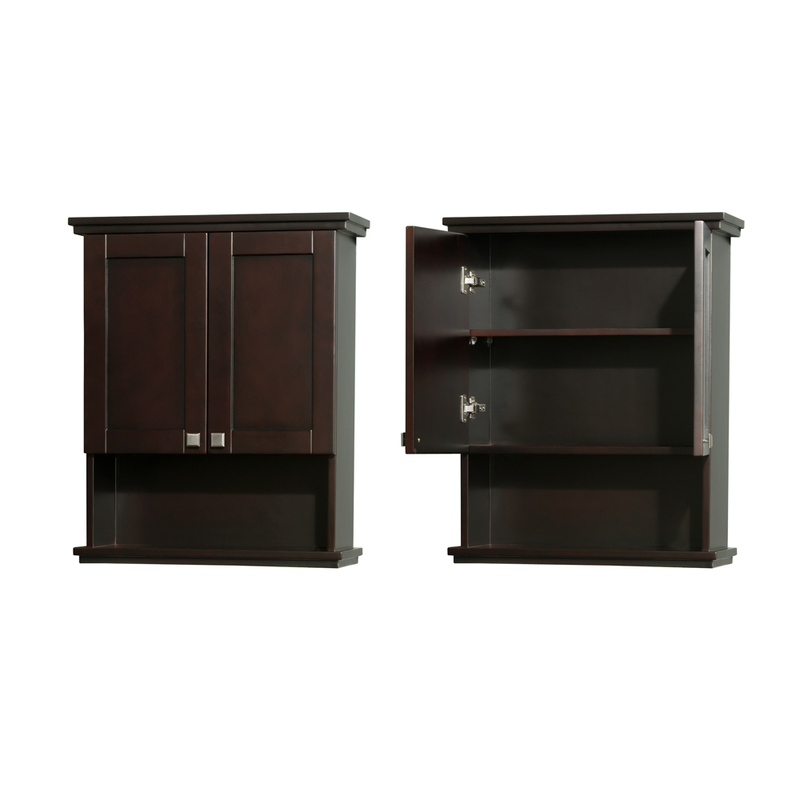 Its solid oak cabinet is finished with a rich Espresso finish that's accompanied by Brushed Chrome hardware. 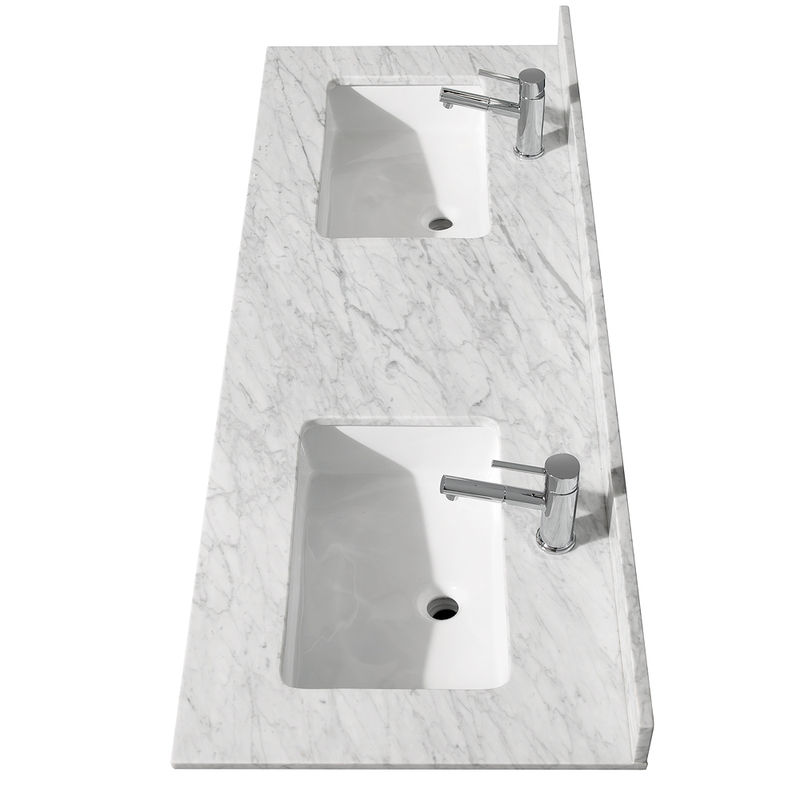 The top is made from either Ivory or Carrera White marble with rectangular cut sink holes that are installed with white porcelain undermount sinks. 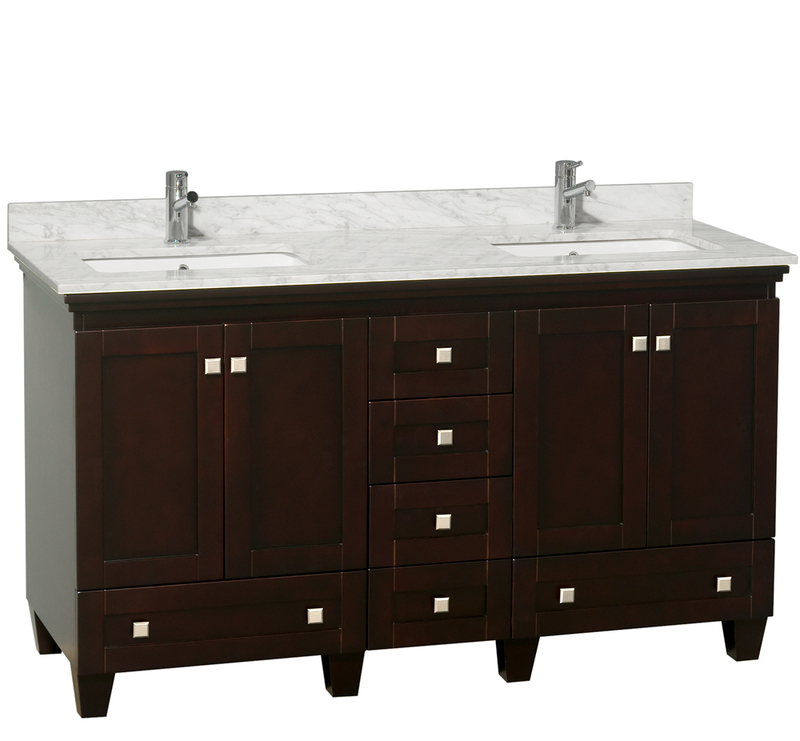 Each sink has a pre-drilled single faucet hole. 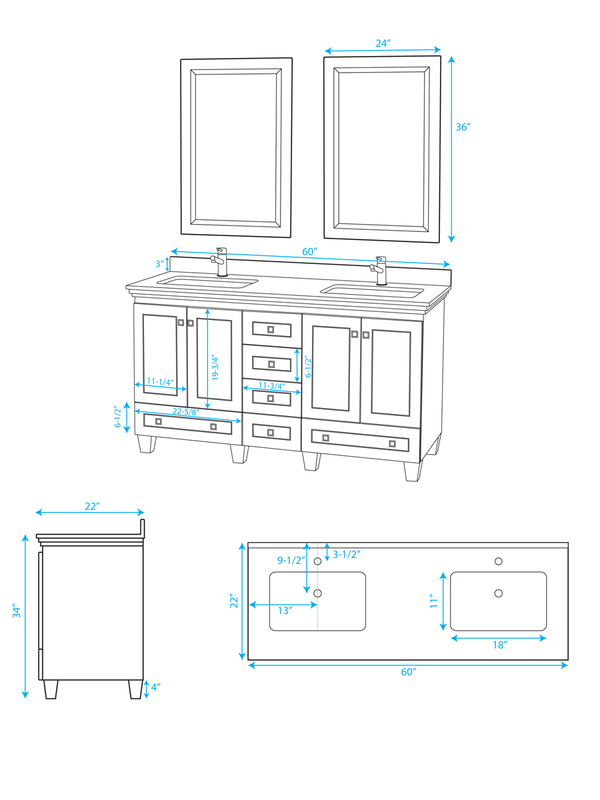 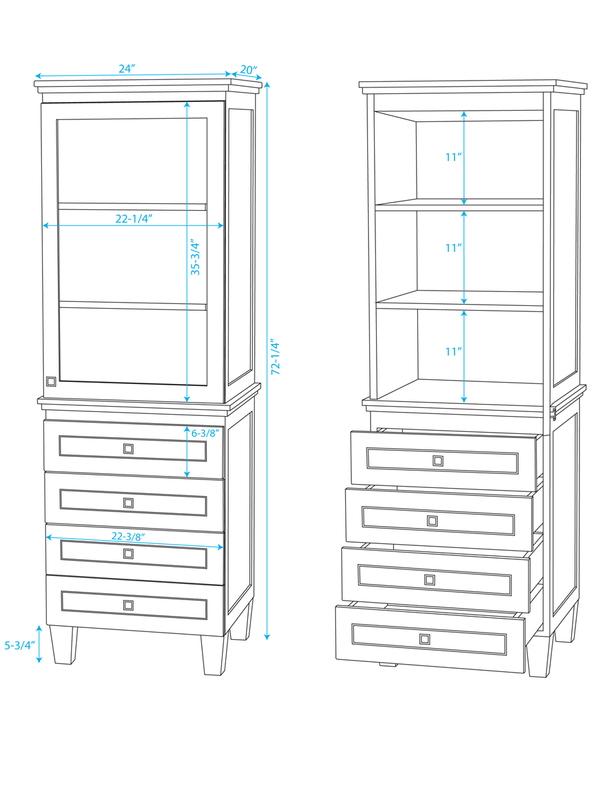 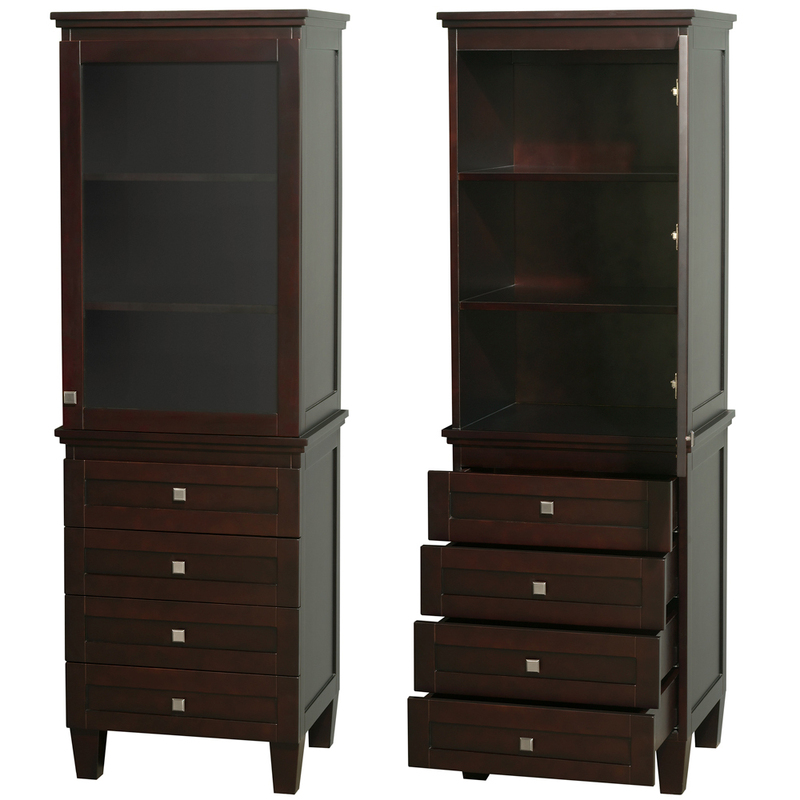 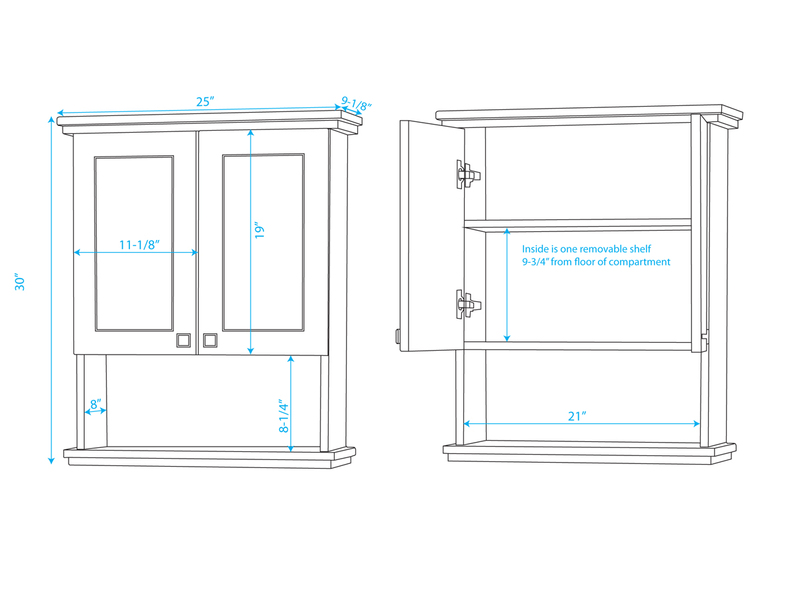 The cabinet offers two double-door cabinets, four small drawers in the middle, and two larger drawers underneath each cabinet, all equipped with soft-closing mechanisms to ensure the durability of your new vanity. 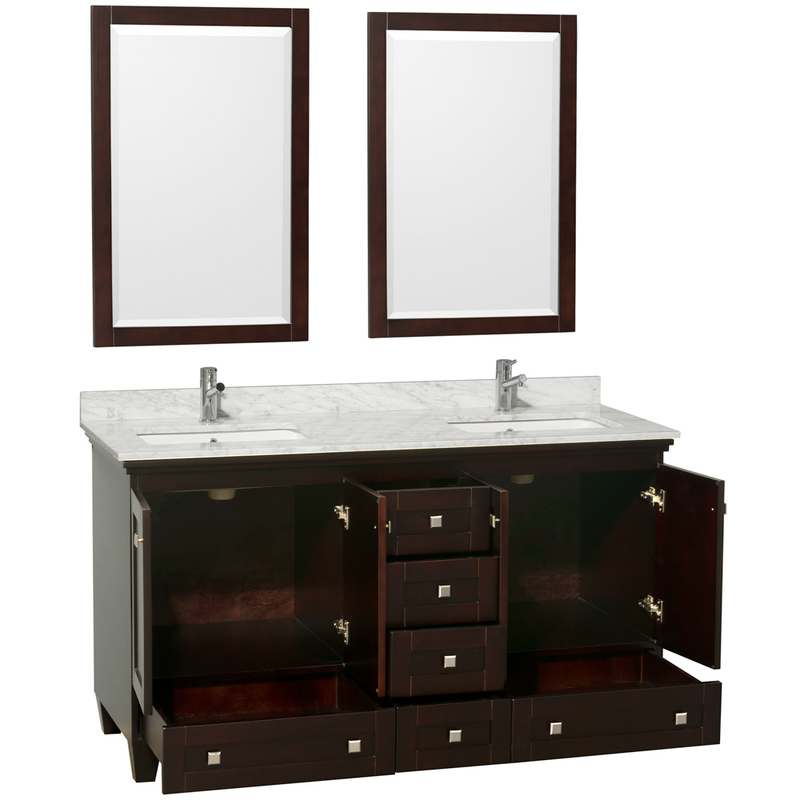 Two small mirrors are also included with the Acclaim Vanity.